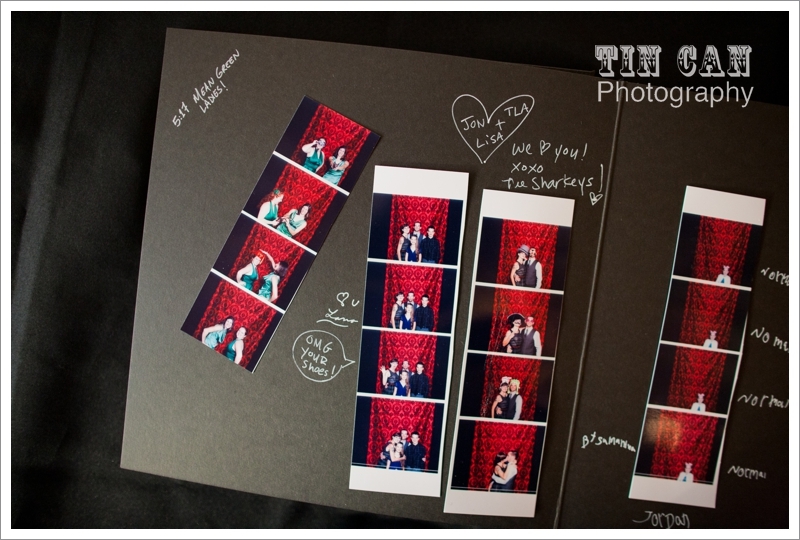 Your Atlanta Wedding Photographers | Tin Can Photography | Blog: photo booth. We've been collecting parts and pieces around our lab; bubbling and brewing something new for the Tin Can family. As we turned nuts, twisted bolts and connected all the right wires together, I wanted to yell out in a crazy Gene Wilder way, "Give my creation LIFE!," as I flipped the switch. 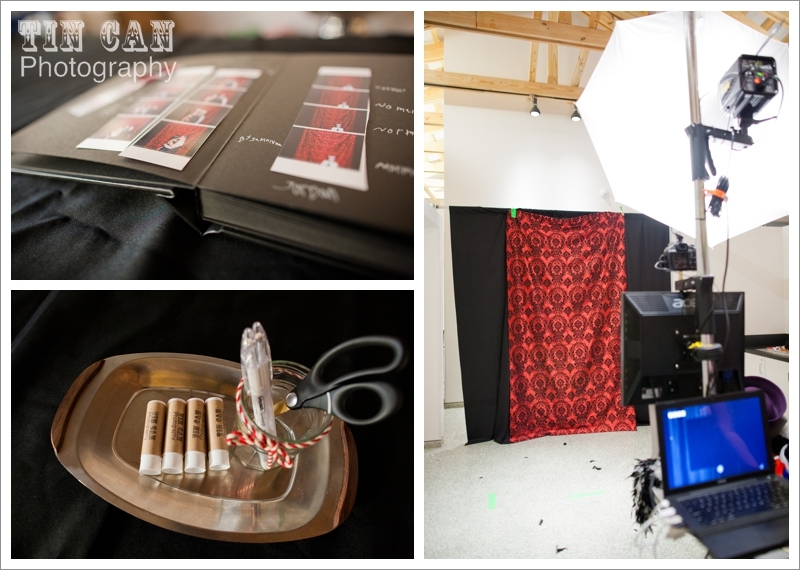 Even though we've had enough wind lately to actually recreate scenes from Mel Brooks' Young Frankenstein, with all Halloween references aside, we really are thrilled to be offering the Tin Can Photo Booth as a creative addition to any wedding, gala or even the annual office party! It's an easy a la carte addition to any wedding package or a great stand-alone rental for any affair. 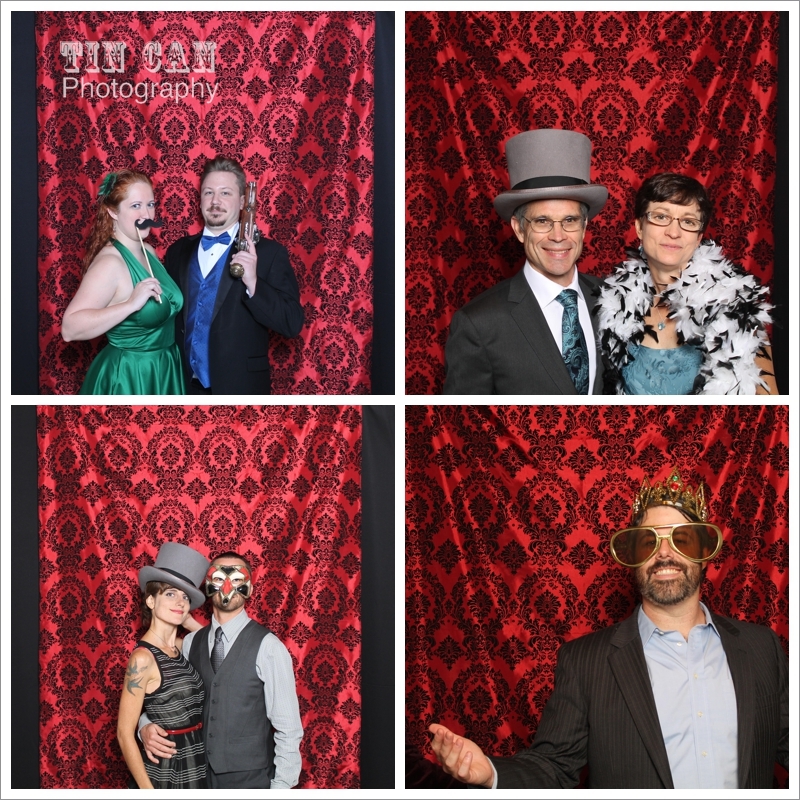 The photo booth had its big premiere this past Saturday at the wedding of Lisa and JD and wow, did their party and guests really rock it out! 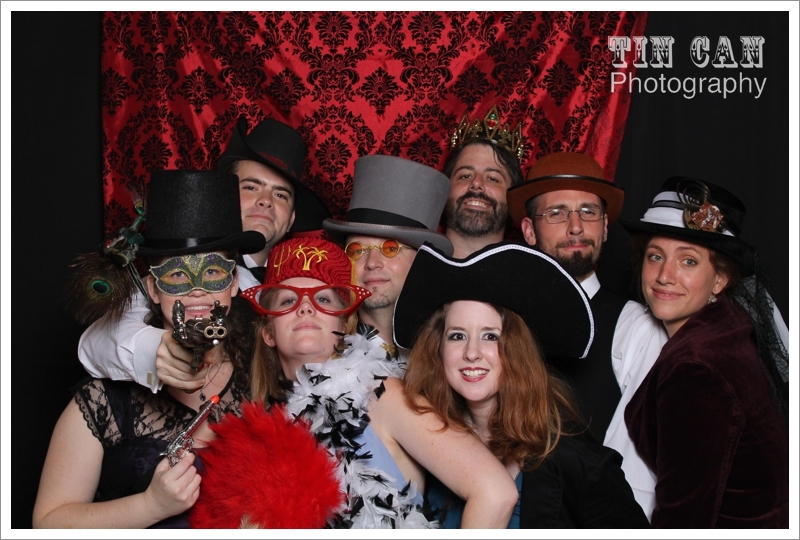 Everyone had a blast dressing up and showing off their personalities in front of the camera. Hope your day is also full of treats!